Below are few maps that show German speakers, as well as the borderlines of Germany from the time it was known as Prussia (whose location was in what is now known as Poland), and all the way to modern Germany. Notice how that territory changed during time. 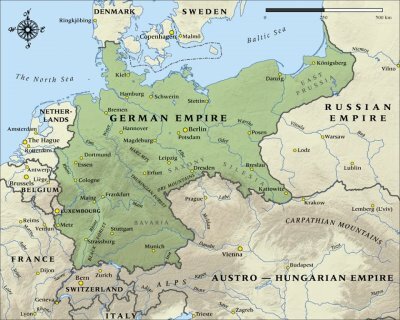 First it was known as Prussian Kingdom (who were Germans), and prior to WWI it became known as Germany (but with a larger territory than it is now), and after WWII it shrunk to modern German territories (the area of the Federal Republic of Germany). 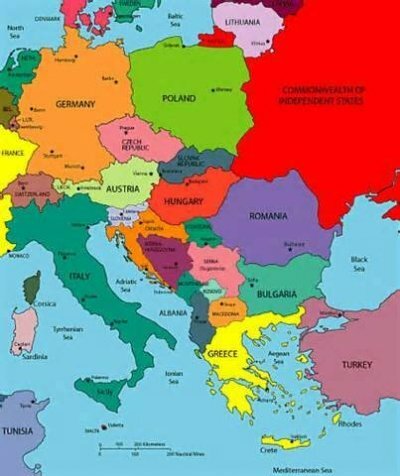 So when you talk about Germany, first you need to tell the reader the exact time in history you are discussing, because Germany covered different territories in different times, and if you are talking about Prussia (with a “P”, not Russia with an “R”), you would be talking about a territory which is now known as Poland! 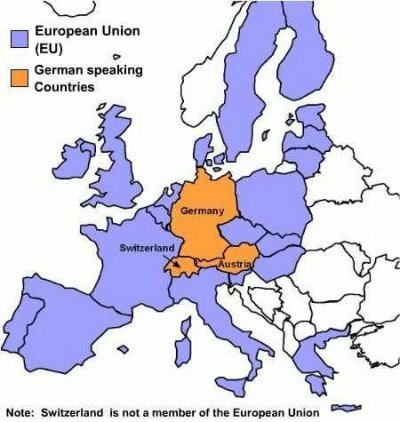 Noting that there are German speaking countries that were not part of Germany, example Austria (it was part of German for a short time during WWII)! Additionally Austrians speak the German language; but they have country of their own called Austria. See the maps of German speakers and see how it overlaps over several countries. The same was the case with the Aramaic language! Not every Aramaic speaker was an Aramean, especially when the Aramaic language became the Lingua Franca of the Ancient World, where many nations spoke it. Compare also with maps of the Middle East during different times below. With respect to Suryoye, it all started with the Greek name Syria, which was derived from Assyria (now you might want to relate it to another source just to avoid its origin Assyria, but that is not the issue in this article). Most scholars agree that it was the Greeks who coined this name from Assyria, and gave it to its Greek Seleucid Kingdom. (of course the so called modern Arameans don’t agree with that, but the problem with them is that they don’t agree amongst themselves on the origin of the name Syria which discredits their view). As I said the origin of the name of Syria is not the topic of this article. The Greeks conquered Syria in 333 BC, and later Alexander dies in 323 BC, and his empire was divided amongst his four generals. And Seleucid ended up taking the eastern part initially, then dropping part of the East and settling on a territory from the Mediterranean Sea to Zagros Mountains which they called Syria. The Seleucid kingdom lasted till 64 BC when it was run by the Romans. Now here is what all Arameans can’t seem to comprehend, (and I will put it in a simple way so that anyone can comprehend it). Look at the map of the Greek Syrian kingdom, and notice how Assyria is part of it, and further more notice how it roughly covers the area of the earlier Assyrian Empire. 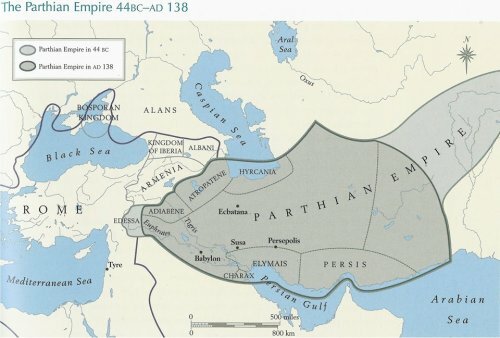 Prior to the Roman invasion the Seleucid kingdom of Syria faced a collapse creating a vacuum of power, this was grabbed by several kingdoms, allowing local kingdoms emerged such as Osroen, Hatra, Adiabane, as well as Parthian Persians expanded westward all this happened to the east of the Euphrates river. While the Romans moved partially and occupied part of what was known as Syria (i.e. Greek-Syria), and stopped at the Euphrates River, and called the territory that they occupied as Syria (i.e. Roman-Syria). So the dividing date is 64 BC! • It was an independent kingdom with its capital, first at Babylon, then at Seleucia, and finally in Antioch. • It lasted from 323 BC to 64 BC. 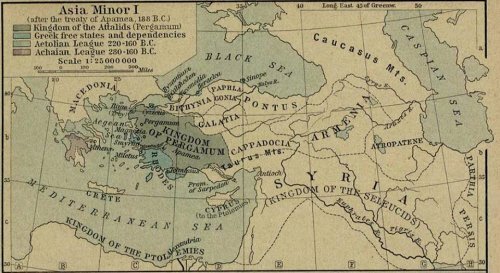 • Some Biblical scholars, went further to retro the old name of Land of Aram and rename it as Syria, even before the arrival of the Greeks, and before the coining of the name Syria. and that was a big mistake, because now we see certain translations of the Bible with reference to Naaman the Syrian, and Ben Hadad the Syrian, when in fact neither Naaman nor Ben Hadad had ever heard of the name Syria, they simply called themselves Arameans, (i.e. they were Arameans and not Syrians). This is like labeling the Incas, and Mayans of the New World as Americans when in fact they haven't heard the name of America in their lives! • It lasted from 64 BC to 636 AD, and until the Arabs invaded Syria (during the battle of Al-Yarmuk) and renamed it as Bilad Al-Sham. 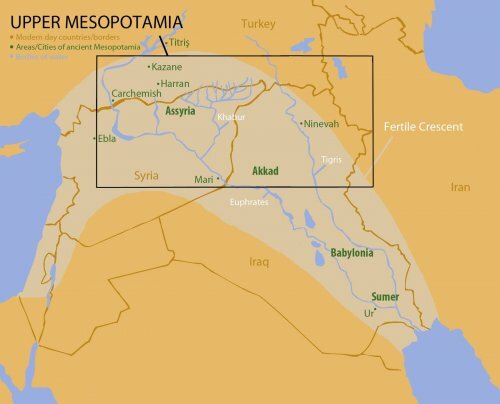 • Mesopotamia was not included in Roman-Syria. So what can we conclude from all this? 1. 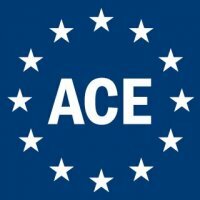 That the date 64 BC is very important, because it is a dividing time between two distinct and different eras, where a terminology definition changed! Syria before 64 BC was different than Syria after 64 BC. c. We who call ourselves Suryoye now are NOT from the territory of Roman-Syria, but rather we are FROM the territory of the eastern part of Greek-Syria! And this is what modern Arameans can’t seem to understand! We Suryoye/Othuroye come from Upper Mesopotamia (Beth Nahrain), at the time when the Romans created their Roman-Syria Province, we had our own independent kingdoms in Osroene, Hatra, and Adiabane! We were not Roman subject like the Arameans (to the west of the Euphrates River) in the Levant, we were independent! 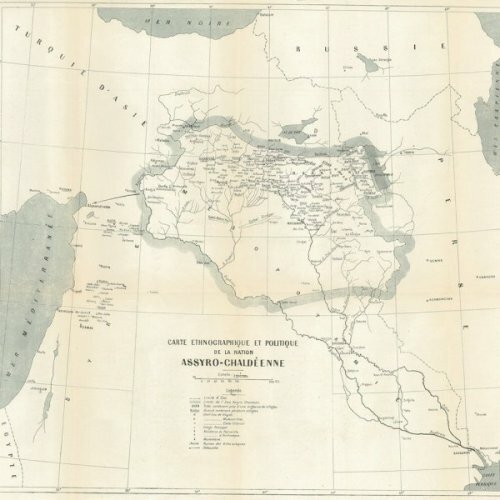 This is also the reason why this Assyrian map see below was presented by the Assyrian delegation (whom Syriac Orthodox Bishop Mor Afram Barsom [and later Patriarch] was part off) to the League of Nations in Paris, in 1919-1920. Notice that all of Assyria that they claimed, lies to the east of the Euphrates River. 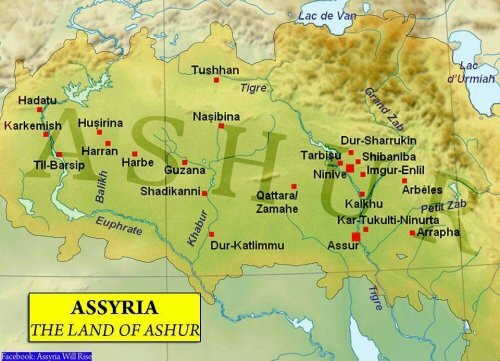 This is very important because back then Mor Afram Barsom realized that we are Assyrians (and not Arameans), and that is why he asked for the heartland of Assyria which is in Upper Mesopotamia (Nineveh, Gozarto, and Tur Abdin, etc.) and not the heartland of Aram which is in the Levant (Damascus, Hama, Homs, Aleppo, and Syrian Desert, etc.). 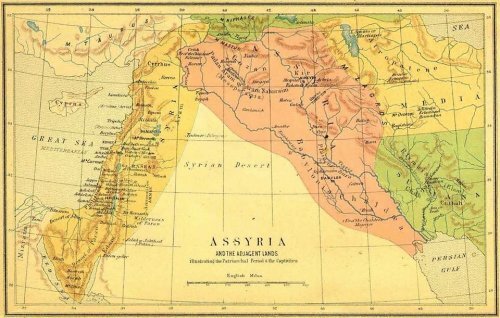 This is also why the Assyrian delegation described our nation as: "our ancient assyrian nation who reside mostly in the upper valleys of Tigris and Euphrates in Mesopotamia"
It also proves another thing, which is that our Assyrian people lived in this map's region prior to WWI and the Assyrian Genocide of Seyfo-1915. d. Syriac Orthodox Patriarch Mor Mikhael Rabo (Michael the Syrian) (1166-1199 A.D.) was a learned scholar, and knew what he was talking about, hence he was correct in his answer to the Greeks who questioned him about history. He responded in the terminology that the Greeks understood, and that was the Greek-Syria kingdom (i.e. the period BEFORE 64 BC) whose citizens were Arameans and Assyrians (plus other nations), hence you see him say that the Suryoye (the Syrians of Greek-Syria) were Assyrians and Arameans. And when he was talking about the period AFTER 64 BC then he also knew that those Suryoye (i.e. the Syrians of Roman-Syria) who lived west of the Euphrates River were Arameans, and that applied to the Melkoye (Melkites), and NOT the Jacobites or Nestorians who lived to the east of the Euphrates River. So the main thing that the Modern Armaeans need to educate themselves off is few dates, and what each period implies, in other words understand TIMELINE! Mor Mikhael Rabo meant, understood the difference and pointed it out very clearly. But people like the so called Arameans have no clue of what St. Michael the Great was talking about. To those so called Arameans (as the Arabic saying goes: Killo 3ind el 3arab saboon), everyone is Aramean even the Hindu Indians, Mongolians, Afghanis and their Taliban descendants, simply because at one time in history, all those people (who by the way totaled 90,000,000) spoke the Aramaic language which was the lingua Franca of that time. Now English is the Lingua franca of the Modern World, yet you don't see the British claiming all the population of the territories in red on the map below as Anglo-Saxons! 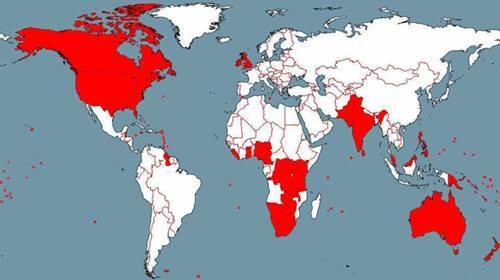 Noting that the red areas show where English is an official language in those countries, notice also there are several indigenous black African countries and India amongst them. Mor Mikhael Rabo clearly stated that Arameans were west of the Euphrated River, and Assyrians were on the east side of that same river, and that it is normal that we all spoke Syriac which is modern Aramaic, because after all it was the Assyrians who established it as their official language. Here is another point: the Persians later used Aramaic as their official language, and in fact the letter from the Persian Shah to Alexander was written in Aramaic, and the Greeks were able to read it, so were the Greeks and Persians Arameans because they communicated in Aramaic? Of course not! But try telling that to the so called Arameans, which some of them still believe that their name Syriac comes from Cyrus the Persian king who screwed them! And in appreciation they adopted his name by replacing their national Aramean name! If that doesn’t tell you of their intellectual level, nothing will! Another important proof is based on modern Arabic terminology still used in present days in Syria, and it reflects the same ancient terminology as that of Roman-Syria. If you speak Arabic, and you communicate with a modern Syrian citizen of the Syrian Arab Republic, you will notice that they use the term Suria Al-Dakhil (inside-Syria, or internal-Syria) to mean the Levant region or west of the Euphrates River. And Suria Al-Kharij (outside Syria, or external-Syria) to mean the Jazira region (Gazarto) or east of the Euphrates River. In other words if two modern Syrians meet and they want to know where from (or from which region) the other comes, he would ask him: Inta min Al-Dakhil aw Al-Kharij? (Meaning are you an insider or outsider?). In other words, the Syrians themselves consider the Mesopotamian part (Beth-Nahrin) of modern Syrian Arab Republic as being outside Syria! 1. Remember that the flow of the Euphrates River establishes the border line between the land of Aram and the land of Ashur. 2. 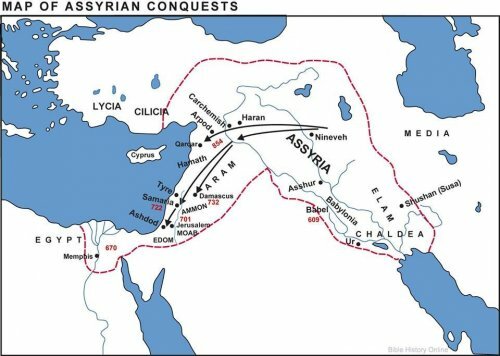 323 BC to 64 BC : Greek-Syria (a Seleucid Greek Kingdom) = Land of Aram + Land of Ashur > Syrian = Suryoye = Assyrians PLUS Arameans > The Euphrates river as the line separating Assyria from Aram, but both regions under Greek rule. 3. 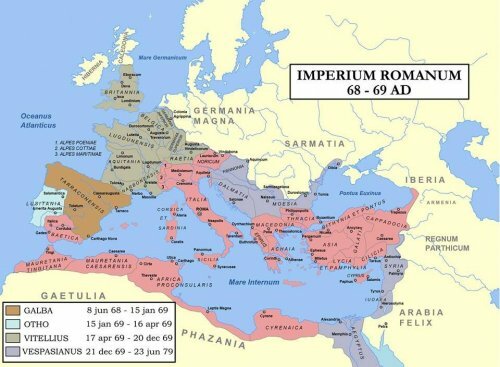 64 BC to 636 AD : Roman-Syria (Roman Province) = Syria was west of the Euphrates ONLY (i.e. Land of Aram ONLY) > Syrian = Arameans ONLY = west of the Euphrates ONLY. While Assyrians had independent kingdoms of Osroene, Hatra, and Adiabane, located east of the Euphrates River. 4. Jacobites (or Syriac Orthodox) and Nestorians (or Church of the East) lived to the East of the Euphrates River, while Melkites (Malkoye, or Rom Orthodox) lived to the west of the Euphrates River. What that means that Melkites are Arameans, but Jacobites and Nestorians are Assyrians. 5. 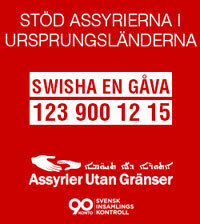 After the Assyrian Genocide of Seyfo-1915, 750,000 Assyrians were massacred, and those who survived had to escape out of Turkey, hence many ended up in areas west of the Euphrates River, but nevertheless, it is their origin prior to 1915 that establishes their Assyrian ethnic identity. 6. Prior to 323 BC there was no Aramean who ever called himself Syrian, Suryoyo, or Suryaya! Simply because the name Syria was not coined yet! 7. Syrian, Suryoyo, or Suryaya don’t mean Christian, simply because those terms existed before the Birth of Christ! So the claim that Arameans changed their names to Syrian when they became Christians is false. What happened to the name Syria after that? • The name of Syria disappeared from the maps for 880 years. • In 1516 AD the Ottoman Turks conquered Syria and established it as a Turkish Province west of the Euphrates River. • In 1916 the treaty of Sikes-Picot was trying to revive the Greek-Syria so the Ottoman Mosul province (the heartland of Assyria) was included in Syria. • In 1918 the French conquered Syria, and established their Mandate over it, but the British discovered oil in the Mosul province and convinced the French to give up that region, and the French did not knowing of the oil, but kept the Jazire region (east of the Euphrates River). • In 1941 modern Syria became independent and under Arab rule, who later changed its name to the Syrian Arab Republic. And this covers part of west of the Euphrates River, and part of east of the Euphrates River. Once these two things are established, then we would clearly know what he is talking about! And any person who can't comprehend the sequence of TIMELINE, it is worthless to discuss any topic with him!